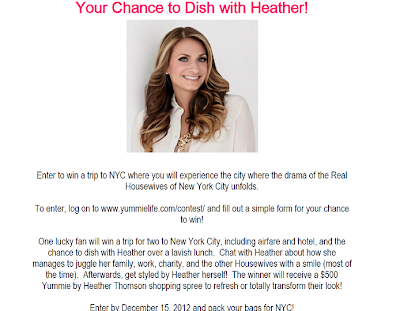 Yummie Life founder, and Real Housewives of New York City star, Heather Thomson, is offering her fans the chance to win a trip to New York City to enjoy a luxurious trip and dish with her over lunch. 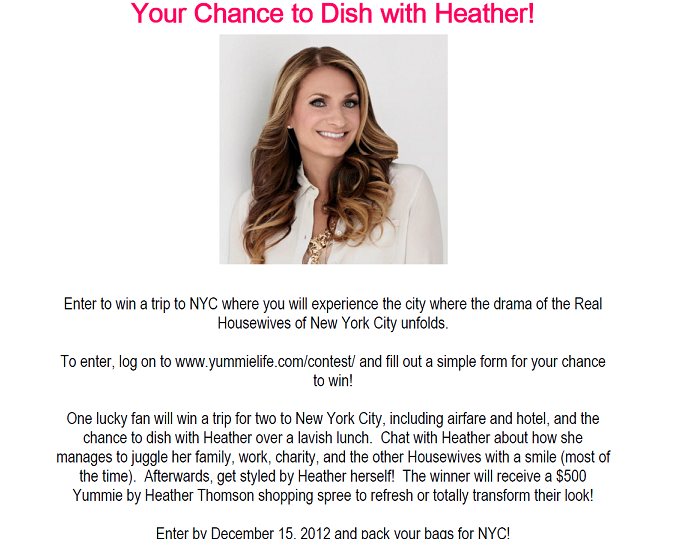 To learn more, and to enter, go to the Yummie website. There's plenty of time to enter this one, as the contest doesn't end until Dec. 15, 2012.